My internship this summer was with the River City Rascals. The Rascals are an independent professional baseball team, which play in the West division of the Frontier League. The Frontier League consists of 14 teams primarily from the Midwest. The Rascals play their home games at T.R. Hughes Ballpark in O’Fallon, MO, which is about 35 miles west of Saint Louis. I worked along with 3 other interns this summer. I got to work every day with Melanie Burkholder, an athletic training student from Missouri State. Chris and Aaron, who attend school at Lindenwood, were the other 2 interns that would come and help out. 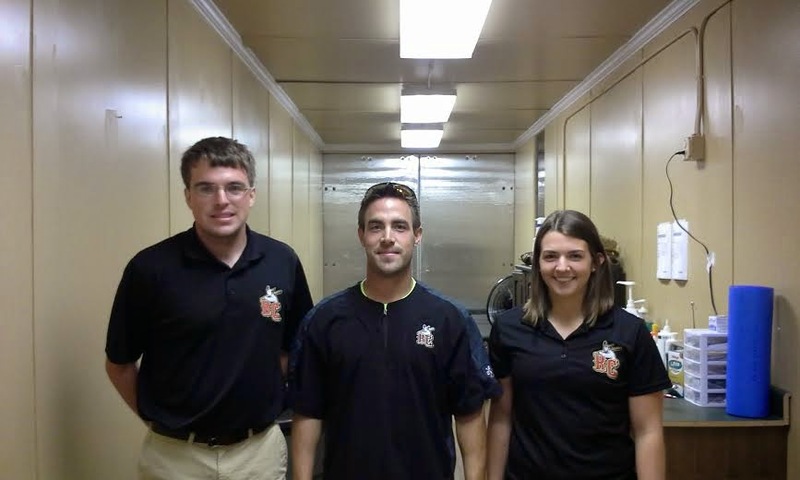 All of us worked under Jordan Shaeffer ATC, who is the athletic trainer for the River City Rascals. Melanie and I would get there usually about 4 hours before the game started. Our day usually started with us making the water and ice coolers for both teams. After that, we would administer treatments before players went to batting practice. We would go out and watch the players take batting practice. Then we would perform pre-game treatments before the game started. After the game was over, we would do any post-game treatments to players if they needed it. It was definitely a fun and challenging experience working with the Rascals. It was challenging due to the limited budget and number of resources, but we made do with what we had. The team was great to work with, and they would let us do some extra stuff like take batting practice or help shag balls during batting practice. I would like to thank EXCEL Sports and Physical Therapy and Rascals for allowing me to have this opportunity. Good luck to the Rascals on the rest of the season! Students in the Saint Louis University Athletic Training Program have a required internship in the summer between their two professional years in the program. This blog post details a student's reflection on their internship experience.